ePublishing Knowledge BaseePublishing Knowledge BaseePublishing Knowledge Base User Profiles and Registration FormsHow do I turn product thumbnail images on or off on a reader's Past Orders page? 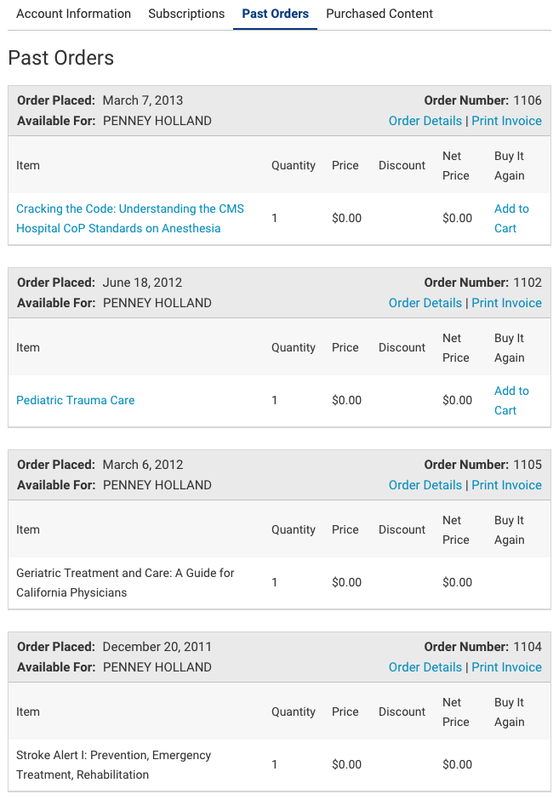 Thumbnail images of your products can be turned on or off on the Past Orders pages. This is visible to readers on their User Profile page at https://www.yourdomain.com/user/profile#OrderHistory. The user must be logged in to see past orders. Please be aware that thumbnail images on receipts can potentially result in a minor slowing of the page's load time on your reders' devices. If you are concerned about your site's performance or you know your thumbnails may not always be as small in file size as possible, you may want to consider turning thumbnails on this page and email receipts off. If your readers would find the thumbnails helpful in remembering what they purchased trumps concerns over page download time, turning thumbnails on these page templates on is the way to go. 1. To display thumbnail images, the images must exist in Media Manager for the product itself. To learn more about setting up product images, go to Step 12 in this article: How do I create a product? To add a new image to the Media Manager to associate with your product, read this article: How do I upload new media such as photos, videos and files? Zoom: To display thumbnail images, the images must exist in Media Manager for the product itself. 2. 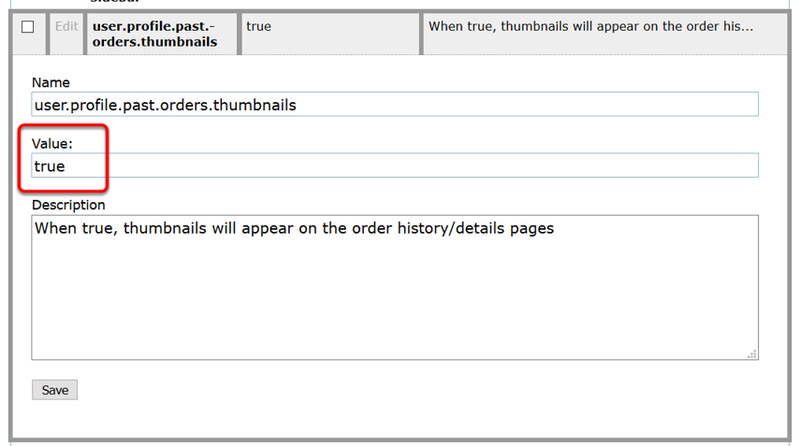 Control whether thumbnail images show on the Past Orders tab by navigating to the following in Admin: sys admin > System Settings > Create & Edit . 3. 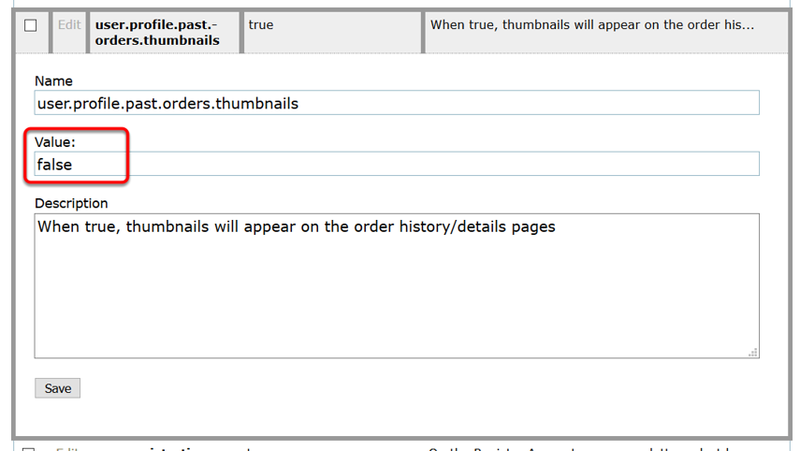 Scroll down until you see “user.profile.past.orders.thumbnails” and click Edit. 4.1. To turn the thumbnails on, type “true” in the Value field. Do not change any information in the Name or Description fields. Zoom: To turn the thumbnails on, type “true” in the Value field. 4.2. To turn the thumbnails off, type “false” in the Value field. Zoom: To turn the thumbnails off, type “false” in the Value field. 6. Return to the My Account (/user/profile) page to confirm the change. 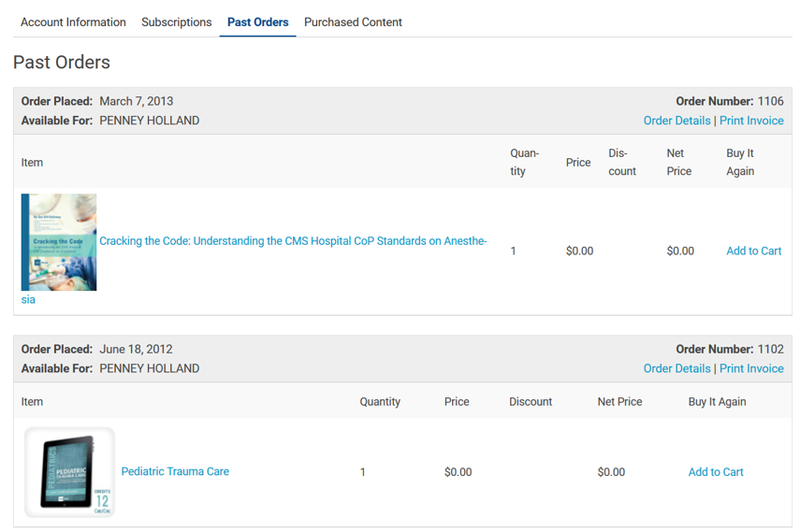 Prev: What are the differences between the old Order History tab and the new Past Orders tab on readers' account profiles? Next: How do I restrict individual video or audio files from being downloaded on the Purchased Content Page?